We are passionately committed to our documentary project - Positively Parkinson's - and we invite you to join us in making a difference for the millions of people living with this disease. Keeping a hopeful outlook despite the daily struggles is the key to enhancing and maintaining quality of life for these patients. It is not difficult to become depressed and discouraged as the illness progresses. We can assure you that nothing is more encouraging than seeing the positive attitudes, determination and success of others. We are traveling across the country, capturing the stories of individuals who have decided not to allow this disease to steal their joy. Some are amazingly active, others are volunteering and giving back to their communities and many are finding new ways to cope with their "new normal" and make the most of life everyday. They are Positively Parkinson's. 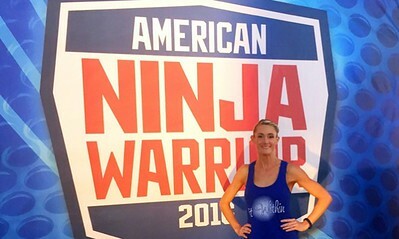 Meet Allison Toepperwein, a dynamic young mother who epitomizes "Positively Parkinson's" as she inspired millions by competing on NBC's American Ninja Warrior - TWICE. Diagnosed with Parkinson's disease at the age of 37, Allie is a "fighter, doer, and life obstacle crusher!" You will be incredibly inspired by this single mom's determination and drive. She is a firm believer in the power of exercise and she's living proof of the benefits of fitness. She's known as the "Ninja Mom" and founded the Lit Within community to empower women. Tonya Walker is a popular fashion and lifestyle blogger whose fans know her as the "Shoe Maven." Passionate about shoes since the age of three, her love for heels was put aside (for just awhile) after her young onset Parkinson's diagnosis and the balance challenges that came along with the disease. After successful Deep Brain Stimulation surgery, she dusted off those high heels and she now shares her story through a fun and uplifting blog and social media accounts followed by thousands. She has been featured in numerous magazines including Entrepreneur, Women's Health, and television segments including Fox and Friends. Video clips will be shared on social media to inspire and encourage others to live positively. We also hope to motivate others to support the efforts to find a cure and improve treatments. Most of all, we want to remind us all of the power of optimism and the human spirit. We will submit the full-length documentary to a variety of networks including the Discovery Channel, Lifetime, A&E, TLC and PBS as well as numerous organizations including the Michael J. Fox Foundation and the National Parkinson's Foundation. Or contribute by credit/debit card or via Paypal by selecting an amount in the drop down below and click "Add to Cart". If you prefer that your contribution be anonymous, simply write "anonymous" in the memo line of your check or type it into the message box during online checkout. All donors will receive a DVD copy of the documentary upon completion, so please provide your shipping address during the payment process. Thank you for your contribution, for together, we can make a positive difference!